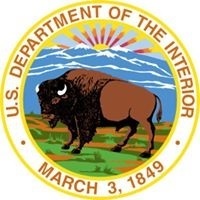 NEW ORLEANS – (RealEstateRama) — U.S. Secretary of the Interior Ryan Zinke today announced the designation of the A.P. Tureaud, Sr. Home as the fifth historic site within the African American Civil Rights Network. Secretary Zinke was joined by the family of Alexander Pierre (A.P.) Tureaud, Sr.. A.P. Tureaud made major contributions to advancing the goals of the African-American Civil Rights Movement as a preeminent civil rights attorney in Louisiana. Tureaud focused on segregated educational facilities, first challenging graduate and professional programs at Louisiana State University (LSU) in the early 1950s, followed by undergraduate programs, into which his own son, A. P. Tureaud, Jr., was attempting to enroll. With a legal way forward, African Americans began attending undergraduate classes at LSU and other previously segregated schools in 1960. Tureaud engaged in a decade-long battle to desegregate public schools in New Orleans, attacking the separate-but-equal doctrine. Building upon the victory in the Brown v. Board of Education decision in 1954, Tureaud reasserted his contention that New Orleans schools must immediately desegregate. Tureaud’s actions were the catalyst for the New Orleans school crisis of 1960-1961, which was famously captured in Norman Rockwell’s painting, The Problem We All Live With, depicting Ruby Bridges walking to school while being escorted by Federal agents. “We are honored to have the home of our father, A.P. Tureaud, Sr., entered into the African American Civil Rights Network, recognizing his legacy and that of countless individuals, black and white, who worked tirelessly to end segregation in America,” said A.P. Tureaud, Jr.